These loin lamb chops are seared and then baked in a simple tomato sauce mixture. Serve the lamb chops with summer squash or zucchini and baked potatoes or rice. Melt butter in a heavy skillet over medium heat; add the lamb chops and cook, turning to brown both sides. Place the chops in a baking dish; sprinkle with salt and pepper. Pour 1/2 cup water into the skillet and stir to loosen browned bits. Add remaining ingredients to skillet then pour over the lamb chops. 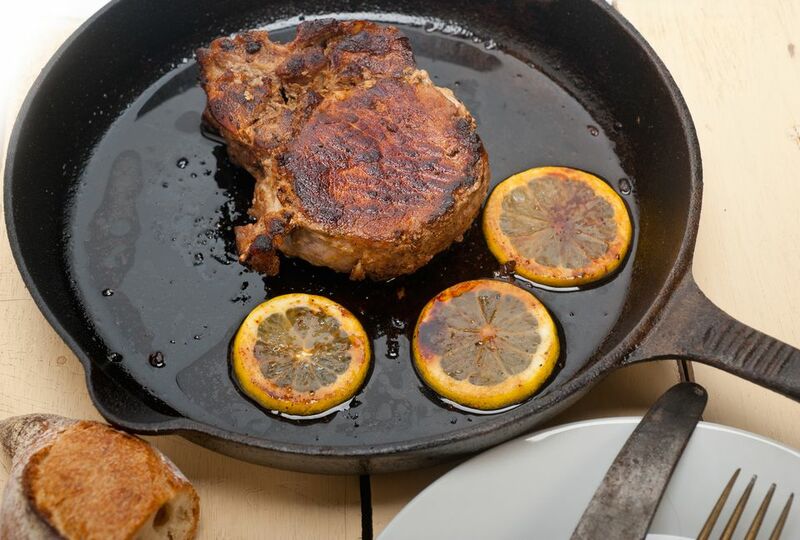 Alternatively, if the skillet is oven-safe, leave the chops in the skillet. Cover and bake in the preheated oven for 1 hour.